The 11th International Conference on Mass Data Analysis of Images and Signals (MDA2016) with Applications in Medicine, r/g/b Biotechnology, Food Industries and Dietetics, Biometry and Security, Agriculture, Drug Discovery, and System Biology was held in New York, USA on yearly basis. The MDA2016 was organized by Professor Dr. Petra Perner, the director of the Institute of Computer Vision and Applied Computer Sciences (ibai) in Leipzig, Germany. After critical peer-review process, the acceptance rate of oral presentation was 33%. The topics range from nuclear medicine, material characterization in production, medical histological image analysis, video mining in agriculture, spectrometer-signal analysis, and system biology. A tutorial on intelligent image interpretation has been held in connection with the conference. The select revised papers of this conference as well as contributed papers will be published in October issue 2016 of International Journal Transaction on Mass Data Analysis of Images and Signals. Under the leadership of Professor Dr. Petra Perner, the conference was successes and impressive. Photograph of the11th International Conference on Mass Data Analysis of Images and Signals (MDA). From left to right: Yu-Chiao Yang, Petra Perner, Ilyas Potamitis, Tanvi Arora. TM Shahriar Sazzad and Ming-Chi Wei. The World Congress 2016 is the frontiers in Intelligent Data and Signal Analysis. In this congress the 11th International Conference on Mass Data Analysis of Signals and Images with Applications in Medicine, r/g/b Biotechnology, Food Industries and Dietetics, Biometry and Security, and Agriculture MDA2016 held in July in New York showed once more that the event is a must for all specialists from research and industry alike who like to stay informed about hot new topics in mass data analysis of signals and images. Consequently the International Conference on Machine Learning and Data Mining (MLDM2016), Industrial Conference on Data Mining, (ICDM2016) and the tutorial on intelligent image interpretation were also held. New automatic systems for the analysis of signals and images have been presented at MDA2016 and that many researchers followed the mission to bring new signal and image analysis methods into real applications that introduce a new quality level to various real life applications. In opening session of conference, Prof. Dr. Petra Perner, Chair of MDA2016, highlights the mission and topics of Congress. Topics presented any work on signal and image analysis that direct to new arising and shows how real world applications can be solved by applying new ground breaking methods for signal and image analysis. Several new automatic systems for the analysis of signals and images have been presented at MAD2016. 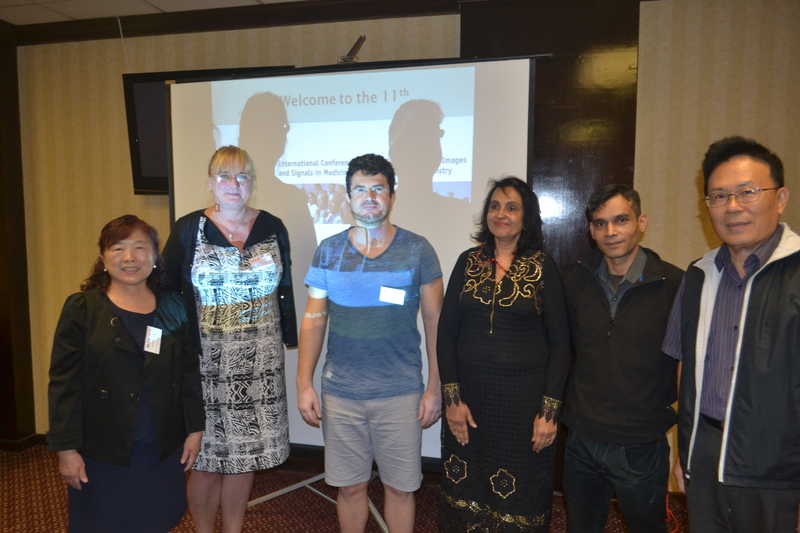 Scientists from several countries attended and contributed hot topics in this meeting. Some impressions of the various topics and the international audience should give the papers described below. The genetic defects are the underlying cause of mental retardation, frequent miscarriage, epileptic seizures and various forms of cancers. Prof. Tanvi Arora and Renu Dhir, come from India (National Institute of Technology), reported the application of level set methods on the segmentation approaches for human metaspread chromosome images. Because it is very difficult to extract the individual chromosome by using conventional segmentation techniques, the metaspread chromosome images suffer from intensity in homogeneity. This work compared various level set based segmentation algorithms based upon their implementation techniques and the segmentation results. The proposed level set based segmentation method is quite efficient at segmentation of the metaspread chromosome images with intensity in homogeneity. At present, the manual microscopic biopsy slide analysis is time consuming and has accuracy errors between experts. Mr. TM Shahriar Sazzad et al., come from Australia (Edith Cowan University), presented the complete review and analysis on type P63 digitized color images for identification of ovarian tissue. This type of identification process can reduce the processing time and effort while increasing the accuracy rate and is good for the smaller tissue analysis. The existing automated computerized approach for ovarian tissue analysis is novel and accurate. There is a compelling need in agriculture to develop devices and procedures to counter-measure the presence of flying insects such as the hazard list mosquitoes and fruit flies. Dr. Ilyas Potamitis and Iraklis Rigakis, come from Greece (Technological Educational Institute of Crete), issued the mass data acquisition and analysis of optical insects wingbeat signals via a 2D optical sensor embed inside insectary caged to record the wingbeats of fruit flied and mosquitoes. They subsequently show how to automatically analyzed data to create distributions of parameters related to insect wingbeat frequency and harmonic properties derived from many non-tethered wingbeats and characterize the wingbeat properties of a whole species with increased confidence. This setting allows a mass creation of recordings to survey the environmental parameter, such as temperature and humidity, effects on the flying activity and properties of the wingbeat. This work was selected as the Nominated Best Paper Award. In food, cosmetic and pharmaceutical industries, the extraction yield and efficiency of the target compounds from raw materials are strongly influenced by the operating conditions during extraction. Prof. Ming-Chi Wei et al. (Chia Nan University of Pharmacy and Science, Taiwan), and Yu-Chiao Yang et al. (Kaohsiung Medical University, Taiwan) propose two efficient environmentally friendly extraction processes. The ultrasound-assisted extraction and ultrasound-assisted supercritical carbon dioxide extraction were developed for the analysis of oleanolic acid content in Hedyotis corymbosa and ursolic acid content in Rabdosia rubescens, respectively. H. corymbosa and R. rubescen are the most popular healthy teas throughout Asia for health care and diseases prevention for worldwide. Oleanolic acid and ursolic acid has been recently considered of interest in oncology because they exhibit antineoplastic activity on several kinds of cancers. Compared with conventional techniques, proposed techniques provided higher extraction yield while using less severe operating conditions time and energy and offer a promising alternative for increasing the accuracy of analysis "Extraction kinetics of ultrasound-assisted extraction of oleanolic acid from Hedyotis corymbosa" was selected for the Best Paper Award of MAD2016. The final decision was made by the Best Paper Award Committee based on the presentation by the authors and the discussion with the auditorium. All participants would like to appreciate the elegant Chair and the Committee of MDA2016, Prof. Ewert Bengtsson, Valentin Brimkov, Hans du Buf, Calin Ciufudean, Kamil Dimililer, Xiaoqing Ding, George C. Giakos, Alexander Kalinichenko, Rainer Schmidt, Thang Viet Pham, Linda Shapiro, Patrick Wang and Yasemin Yardimci, who contributed to the success of the conference. We also thank the members of the Institute of Applied Computer Sciences (ibai-institut), who handled the conference as secretariat. We appreciate the help and understanding of the editorial staff at Springer Verlag, and in particular Alfred Hofmann, who supported the publication of these proceedings in the LNAI series. The 12th conference will be held in 2017 in New York under the auspices of the World Congress Frontiers on Intelligent Data Analysis MDA 2017. We would like to invite you to contribute to this conference. Wish to see all of you in the next Congress. Please come and join us. Please join us next year to continue together!